Moon Ruin’s Slow Down Ego inhabits a world where gauzy vocal washes glide across sinewy melody, soulful horn charts rise from the sonic mist only to fall away as a twinkling piano runs joust playfully with syncopated electronic percussion. Palpably atmospheric and profoundly transporting, Slow Down Ego is the sound of persistence and sacrifice, born in that flash of a creative gap flitting between real-life obligation. Slow Down Ego is the creation of Jared Bartman, but it was not formed in a vacuum. Birthed in the refuge of makeshift basement studios, and featuring co-conspirators Mike Noyce and Liam O’Brien, plus Bartman’s wife and children, the record is a tribute to the potential of partnership and the strength it provides; it is a document of community, of friendship, of family. The legendary director Mike Nichols believed any worthwhile scene could be boiled down to one of three things: a negotiation, a seduction, or a fight. On the full-length debut, Liberator, from Minneapolis quartet DEM YUUT, that trinity plays out in a uniquely disarming fashion. The album’s nine songs play directly to those fundamental human pursuits, rinsing the sweaty impulse of modern R&B in astute waves of synth and indie atmosphere. Even when frontman Danny O’Brien is in a reflective and delicate mode, there’s an earnest sense of swagger to cut through the lovelorn haze. Lead-off track “Dawn/Sea” toys with Top 40 tropes without shorting their impact, while “Muck” puts a coolly calculated spin on the troubled relationship jam. Rounded out by bandmates Don House, Jeremy Hanson and Jef Sundquist, DEM YUUT pushes beyond the common confines of laptop R&B with a gorgeous array of sounds and textures — some improvised live in the studio, others meticulously crafted. But while the aesthetics run deep, the songs are as well-suited to the jeep as any Drake or Kanye cut. Even the heady cinematic tension in tracks like “Bloody Knuckles” and “Worse Off” is offset by an ear for hypnotic boom-bap. Mina Moore is a singer-songwriter from Minneapolis. Her music draws from that of her upbringing, leaning heavily on soul, R&B, and inevitably, pop. Like so many of us, Mina’s pallet is ever growing, and her live performances aim to educate as much as entertain. 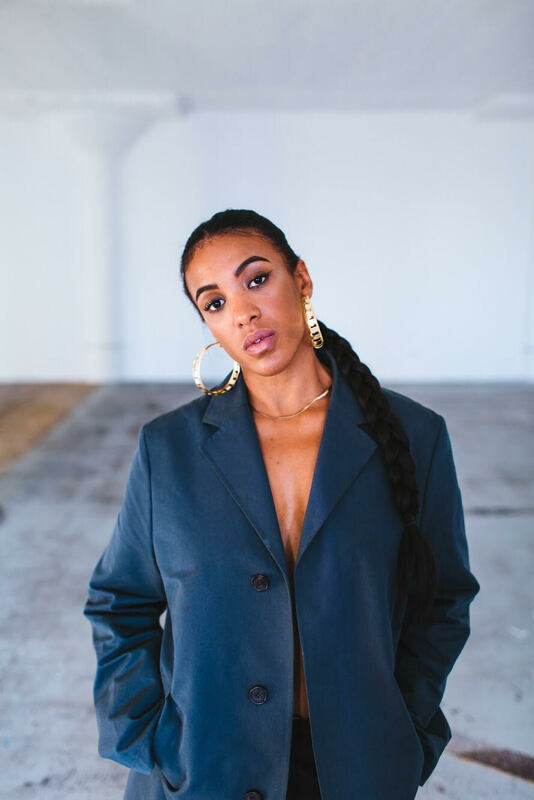 Mina and her band have performed with both national and international acts including Morris Day & The Time, Corinne Bailey Rae, and Hiatus Kaiyote.